Natalie Stone-Burns Hazen grew up in Lincoln, Nebraska and graduated from Lincoln Southeast High School. Natalie received a Bachelor of Arts Degree in Elementary Education from Cornell College in Mt. Vernon, Iowa in 1999. Upon graduation, Natalie began teaching middle school at Goodrich Middle School in Lincoln. She also continued her postgraduate studies by completing her Master’s Degree in Middle Level Education from the University of Nebraska in 2001. In 2004, Natalie received her Juris Doctorate Degree from the College of Law at the University of Nebraska. While in Law School, Natalie was active in the Woman’s Law Caucus and completed a concentration in litigation studies. Following graduation from law school, Natalie spent two years in the general practice of law with a law firm in Pella, Iowa. During those two years, Natalie concentrated her practice to the areas of family, juvenile, personal injury and criminal law. Natalie returned to Lincoln and joined our firm in May 2006. She is licensed to practice in Nebraska and concentrates on matters involving family law. 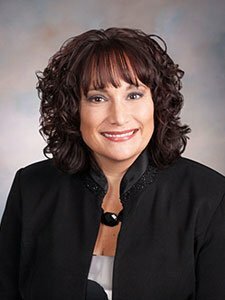 Natalie is active with the Nebraska Bar Association and is the former Chair of the Family Law Section. Natalie and her husband, Kirk, a native of Sterling, Nebraska, have two children. Natalie is actively involved in her children’s education, activities and her church. Besides enjoying spending time with family, friends and their family pets, Natalie loves to travel, volunteer and spend time relaxing on Table Rock Lake.